Enlarge / Bombing of a factory at Marienburg, Germany, on October 9, 1943. The Earth’s electrified upper atmosphere (the ionosphere) experiences a lot of natural variation, changing with the days and from season to season. The ionosphere can also be affected by certain big events, including solar flares, volcanic eruptions, lightning—and the massive bombs dropped on Germany during World War II. Those bombings produced shockwaves strong enough to weaken the ionosphere right near the edge of space. That’s the conclusion of a new study by University of Reading researchers, just published in the journal Annales Geophysicae. More than a historic curiosity, the finding matters because ionospheric disturbances can disrupt key communications technology, including GPS systems, radio telescopes, and radio communications. The air raids conducted by both the Germans and Allied forces in the 1940s were designed to take out critical industrial and political infrastructure—and if civilians happened to be in the line of fire, so be it. 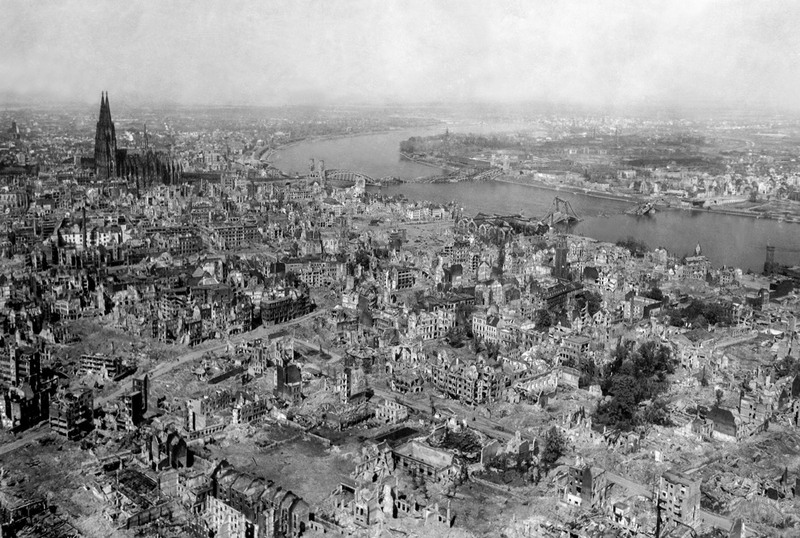 (The Allied bombing of Hamburg in 1943 reportedly left 45,000 dead.) Intensifying the fear of dying among residents was as key to the strategy as the physical destruction wrought by the massive bombs dropped. 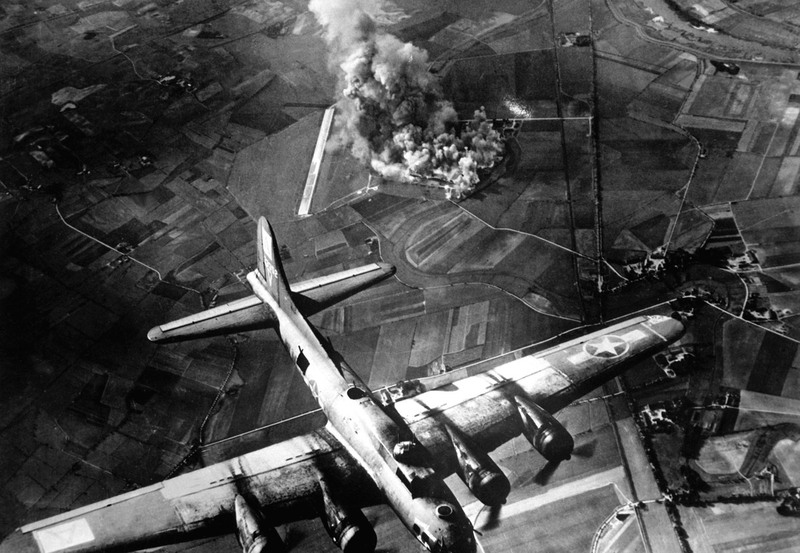 The largest bombs, weighing as much as 10 tons, were powerful enough to blow the roofs off buildings, sending intense shockwaves not just through the streets but into the skies above. The effects also apparently spread throughout the atmosphere. The ionosphere is composed of three different ionized regions within the Earth’s various atmospheric layers (the upper mesosphere and the lower and upper thermosphere, specifically). This means they have a significantly higher density of electrically charged atoms and molecules than the surrounding regions. This happens because the Sun’s high-energy X-rays and ultraviolet rays collide with atoms and molecules in the atmosphere with sufficient energy to knock off electrons, thereby creating ions (atoms and molecules with missing electrons) and free electrons. Lacking satellite technology, radio operators at the time often used the ionosphere to boost their signal range, since certain frequencies reflect off the electrically charged particles like a mirror. But the ionosphere is so variable that it was crucial to track its daily changes by sending radio pulse sequences at shortwave frequencies into the sky and seeing how they were dampened or redirected. Enlarge / Bombing of a factory at Marienburg, Germany, on October 9, 1943. Somehow the Kölner Dom (Cologne Cathedral) survived. The Radio Research Center in Slough keeps detailed records on all this data, which proved a boon to the Reading team. Major and his co-authors studied the ionosphere response records between 1943 and 1945, looking for shifts in height and electron concentration of the ionization in the upper atmosphere over England that may have occurred in response to the bombings. They compared that data with historical records on the approximately 152 Allied raids on Europe during that time frame. London is closer to Slough, but according to Major, German bombings during the famous London “Blitz” were so frequent as to be nearly continuous, making it difficult to distinguish which ionospheric effects were due to the bombings and which could be chalked up to the usual seasonal variation. Major and his colleagues found a pronounced decrease in electron concentration—a loss of ionization—in the ionosphere around the time of the air raids, likely due to a heating effect of the shockwaves produced by the bombings. That’s a solid proof of principle for the technique in terms of assessing how the ionosphere changes in response to such events. “The unprecedented power of these attacks has proved useful for scientists to gauge the impact such events can have hundreds of kilometres above the Earth, in addition to the devastation they caused on the ground,” says Major. Annales Geophysicae, 2018. DOI: 10.5194/angeo-36-1243-2018, (About DOIs).